CALGARY, May 31, 2018 /CNW/ – Relentless Resources Ltd. (“Relentless” or the “Company“) is pleased to announce that it has entered into an amalgamation agreement dated May 31, 2018 (the “Amalgamation Agreement“) with Grunewahl Organics Inc. (“Grunewahl“) and Relentless' wholly-owned subsidiary, 2114152 Alberta Ltd. (“AcquisitionCo“), to acquire all of the issued and outstanding shares of Grunewahl (the “Transaction“). Relentless is also pleased to announce the record date of its previously announced rights offering, its fully funded 29,800 square foot Phase 1 cannabis cultivation facility at Stavely, Alberta and key additions to its team. Grunewahl is a privately-owned company with its indirect wholly-owned subsidiary being a late stage applicant to become a licensed producer under Health Canada's Access to Cannabis for Medical Purposes Regulations (Canada) (“ACMPR“). Grunewahl has successfully completed Health Canada's application process to become a Licensed Producer under the ACMPR and is currently in the review stage. Grunewahl is also the owner of approximately four acres of undeveloped land on Highway 2 at Stavely, Alberta (the “Stavely Lands“). Grunewahl has received municipal approval to cultivate cannabis on the Stavely Lands upon the receipt of its ACMPR cultivation license. “The completion of the Transaction is a critical step in Relentless becoming an emerging, Alberta based cannabis company focused on the cultivation of hand crafted, select batch, ultra-premium bud”, stated Mr. Craig Kolochuk, President of Relentless. Pursuant to the Transaction, Relentless will acquire all of the issued and outstanding common shares of Grunewahl (“Grunewahl Shares“) in exchange for common shares of Relentless (“Relentless Shares“). Grunewahl and AcquisitionCo will amalgamate and continue as a wholly-owned subsidiary of Relentless to be named “Trichome Holdings Corp.” The holders of Grunewahl Shares will receive one Relentless Share for each Grunewahl Share held. It is anticipated that 19,259,993 Relentless Shares will be issued to the holders of Grunewahl Shares pursuant to the amalgamation. The Amalgamation Agreement provides that all such Relentless Shares will be subject to a hold period expiring 4 months and a day from the date of issuance. Completion of the Transaction is subject to conditions and approvals including, but not limited to, the final approval of the TSX Venture Exchange (the “TSXV“). Grunewahl intends to obtain a unanimous written resolution of Grunewahl shareholders approving the Transaction on or before June 29, 2018 (the “Grunewahl Written Resolution“). In the event that such written resolution cannot be obtained by June 29, 2018, Grunewahl will call a special meeting of the Grunewahl shareholders to seek approval of the Transaction from at least 66 2/3% of the Grunewahl shareholders (the “Grunewahl Meeting“). The board of directors and officers of Relentless and certain other Grunewahl shareholders, who, in aggregate, own or control not less than 30% of the Grunewahl Shares, have entered into lock-up agreements pursuant to which they have agreed, among other things, to execute the Grunewahl Written Resolution, to vote in favour of the transaction at the Grunewahl Meeting, if applicable, and to otherwise support the transactions contemplated by the Amalgamation Agreement. William Macdonald and Stanley Swiatek, directors of Relentless, are also directors of Grunewahl. Both directors have abstained from voting at the directors meetings of Relentless and Grunewahl regarding the Transaction. Closing of the Transaction will occur as soon as possible upon all of the conditions contained in the Amalgamation Agreement being satisfied or waived, including obtaining all consents, approvals and authorizations (including, without limitation, all stock exchange, securities commission and other regulatory approvals) required or necessary in connection with the Transaction, including the approval of the Transaction by the Grunewahl shareholders. A copy of the Amalgamation Agreement will be available under Relentless' SEDAR profile at www.sedar.com. Relentless is pleased to announce that it has set August 8, 2018 as the record date (the “Record Date“) for the previously announced rights offering (the “Rights Offering“) to the holders of Relentless Shares. Pursuant to the Rights Offering, each shareholder as of the Record Date will be issued one right (“Right“) for each Relentless Share held on the Record Date, entitling the holder to purchase one unit of the Company (“Unit“) for every two Rights at a price of $0.0675 per Unit until the Rights expire at 4:00 p.m. (Calgary time) on September 12, 2018 (the “Expiry Date“). Each Unit shall be comprised of one Relentless Share and one-half of one Relentless Share purchase warrant (“Warrant“). Each whole Warrant will entitle the holder to purchase one Relentless Share at a price of $0.10 until September 12, 2023. There is no additional subscription privilege and no standby commitment in respect of the Rights Offering. The completion of the Rights Offering is not subject to Relentless receiving any minimum amount of subscriptions from shareholders. The Rights Offering will be made in each of the provinces and territories of Canada (other than Québec) (the “Eligible Jurisdictions“) and in such other jurisdictions where Relentless is eligible to make such an offering. Details of the Rights Offering are described in the rights offering notice (the “Rights Offering Notice“), which will be mailed to shareholders in connection with the Rights Offering as soon as practicable following the Record Date. The Company has applied to receive conditional approval from the TSXV for posting and listing the Rights and the Relentless Shares issuable thereunder, subject to the Company satisfying certain conditions pursuant to the policies of the TSXV. The Warrants will not be listed on the facilities of the TSXV. Subject to the receipt of approval from the TSXV, the Relentless Shares are expected to commence trading on the TSXV on an ex-Rights basis at the opening of business on August 3, 2018. This means that Relentless Shares purchased on or following August 3, 2018 will not be entitled to receive Rights under the Rights Offering. At that time, the Rights are expected to be posted for trading on a “when issued” basis on the TSXV under the symbol “RRL.RT”. Trading of the Rights is expected to continue until 10:00 a.m. (Calgary time) on the Expiry Date. Relentless Shares issued pursuant to the Transaction and pursuant to the exercise of warrants issued under the private placement completed on March 21, 2018 are not eligible to participate in the Rights Offering. Holders of all other Relentless Shares as of the Record Date will be offered Rights. As at May 1, 2018, the Company had 220,522,706 Relentless Shares issued and outstanding. Assuming that no additional Relentless Shares are issued prior the Record Date, up to 110,261,353 Units will be subscribed for under the Rights Offering, comprised of up to 110,261,353 Relentless Shares and up to 55,130,677 Warrants. The Company will raise gross proceeds of up to approximately $7.4 million pursuant to the sale of Units under the Rights Offering and up to approximately an additional $5.5 million pursuant to the exercise of Warrants under the Rights Offering. The Rights Offering Notice will be delivered to all shareholders of the Company as of the Record Date. Only holders of Relentless Shares who are resident in one of the Eligible Jurisdictions will be issued and forwarded certificates representing the number of Rights they are entitled to (“Rights Certificates“). Registered shareholders wishing to exercise their Rights must forward the completed Rights Certificates along with the applicable funds to the depository for the Rights Offering, Computershare Trust Company of Canada (the “Depository“), by 4:00 p.m. (Calgary time) on the Expiry Date. Shareholders who own their Relentless Shares through an intermediary, such as a bank, trust company, securities dealer or broker, will receive materials and instructions from their intermediary. Rights Certificates will not be issued and forwarded to holders of Relentless Shares not resident in the Eligible Jurisdictions. Instead, Rights otherwise issuable to such holders will be issued to and held, as agent, by the Depository, which will use its reasonable commercial efforts to sell the Rights on behalf of all such holders prior to the Expiry Date and then forward the net proceeds pro rata to such holders. Completion of the Rights Offering is subject to receiving all necessary regulatory approvals, including, but not limited to, approval from the TSXV. Relentless is also pleased to announce that its board of directors has approved the development of a fully funded 29,800 square-foot cannabis cultivation facility (“Phase 1“) located on the Stavely Lands. Please see Exhibit 1 for the renderings of Phase 1. 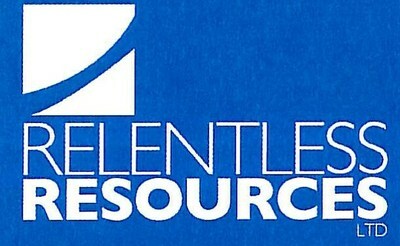 Relentless has engaged ConstructShieldTM, a leader in high performance building envelopes and the builder of cannabis cultivation facilities across North America, to construct Phase 1, which will be comprised of a service area totaling approximately 12,000 square feet plus eight Canna-ShieldTM flowering rooms totaling approximately 17,800 square feet (the “Rooms“). It is anticipated that construction of the building envelope will commence on June 1, 2018 and that it, and the internal Canna-ShieldTM walls, will be completed by approximately July 15, 2018. Please see Exhibit 2 for a video of ConstructShieldTM building a 30,000 square foot cannabis facility in 15 days. Phase 1 is estimated to cost approximately $11.7 million with three layers of flowering canopy. The Company plans to fund Phase 1 with existing working capital, cash-flow provided by its oil and gas assets, the proceeds of the Rights Offering, flexible construction payment terms with ConstructShieldTM and a combination of equipment financing and off-balance sheet leasing arrangements. In order to maximize Phase 1's square footage, each Room will contain an industrial racking system allowing the Company to “grow vertically” with multiple layers of flowering canopy. Using this methodology, Phase 1 will initially contain three layers of flowering canopy totaling approximately 24,000 square feet. It is estimated that Phase 1 will be capable of approximately 6,000 kgs of dried cannabis flower production per annum. A fourth layer of flowering canopy (“Phase 2“) could be added within the Phase 1 facility at a future date for an incremental cost of approximately $2.2 million, adding approximately 2,000 kgs of dried cannabis flower production per annum. Phase 1 is a modular design which will also allow for the “bolt-on” of approximately 26,000 square feet of additional flowering rooms at a future date (“Phase 3“), with no further service area required. With four layers of canopy, preliminary estimates indicate that Phase 3 will be capable of approximately 12,000 kgs of dried cannabis flower production per annum, for a total Stavely project productive capability of approximately 20,000 kgs of dried cannabis flower per annum. See below for a table outlining the key estimated figures related to the various contemplated phases of the Stavely facility. The Company expects to reach maximum Phase 1 production capability by the first half of 2019, subject to regulatory approval and the receipt of its ACMPR cultivation license. The Company is currently evaluating non-dilutive sources of capital to fund Phase 2 and Phase 3. In order to maximize control of the growing environment within the Rooms, and ultimately enhance Cannabinoids, trichome production, terpene profiles and yield, the Company will utilize an aeroponics growing system (the “Aeroponics System“). It is anticipated that the Aeroponics System will also reduce water usage, increase nutrient uptake, accelerate the vegetation and flowering cycles and optimize the number of crops harvested per year. The Phase 1 grow Rooms will each have their own sealed atmosphere, and they will be approximately 2,200 square feet in size. These characteristics will allow the Company to precisely control temperature and humidity, and reduce the potential for large scale pest and pathogen infestations. Relentless is pleased to announce the following additions to its team: Charlie Varzé as Master Cultivator; Dwayne Priddle as Manager, Facility Development; Navneet Minhas as Quality Assurance Person; and Victor El-Araj as Controller. Mr. Varzé has ten years of aeroponic cultivation, cannabis research and education experience, including nine months of experience as Lead Cultivator for Sundial Growers Inc. (“Sundial“), a licensed cannabis producer. He has extensive experience selecting and developing commercial cannabis strains and benchmarking and evaluating growing system components and technologies. While at Sundial, Mr. Varzé provided leadership and assistance in quality assurance (“QA“), construction, sanitation and stakeholder relations. Mr. Priddle has 25 years of construction management experience. He has spent the last four years designing and building two medical marijuana facilities for Sundial in Alberta and he has been included in three Health Canada submissions in the capacity of facility physical security and building compliance. In addition, Mr. Priddle has contributed to the technical design and implementation of new growing techniques in multiple growing facilities. Ms. Minhas has over nine years of experience within the food and beverage production industry, including production, QA, Quality Control (“QC“), supervision and management. She has extensive experience in auditing and out of specification investigations, Canadian Food Inspection Agency inspections, root cause analysis and corrective actions implementation. She has a firm understanding of Global British Retail Consortium Standards, the Food Safety Modernization Act, Hazard Analysis and Critical Control Points, Good Manufacturing Practices and Good Production Practices. Mr. El-Araj has over eight years of experience in accounting and finance. He began his career at Nexen Inc., where he articled for his Chartered Accountant designation and performed roles related to external reporting, oil sands finance, and internal audit and controls. He subsequently moved to Imperial Oil Ltd., where he executed roles related to capital budgeting, internal and external reporting and accounting policy. Mr. El-Araj was most recently an Associate at Raymond James Ltd., where he gained valuable capital markets experience in an equity research role. Mr. El-Araj is currently a CFA level II candidate. 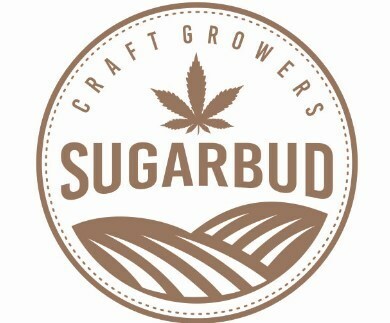 As outlined in the Company's management information circular dated May 1, 2018, Relentless intends to change its name to SugarBud Craft Growers Corp. (“SugarBud“) (the “Name Change“) upon receipt of the approval of shareholders at annual meeting of shareholders to be held on June 5, 2018, and the approval of the TSXV. Upon the completion of the Name Change, the Company will transfer its oil and gas assets to a newly formed wholly-owned subsidiary to be named Relentless Resources Ltd., which will continue to be engaged in the business of developing its oil and gas assets. The Company plans to retain its oil and gas assets, which will help to fund and build a diversified portfolio of cannabis related businesses. Please see Exhibit 3 for an illustration of the SugarBud logo. Relentless is a Calgary based emerging cannabis and oil and natural gas company, engaged in the development, acquisition and production of cannabis and natural gas and light gravity crude oil reserves in Alberta. The Relentless Shares trade on the TSXV under the symbol RRL. This news release may include forward-looking statements including opinions, assumptions, estimates, the Company's assessment of future plans and operations, and, more particularly, statements concerning the completion of the Transaction, the Amalgamation Agreement, the development of the Stavely Facility, including the use of the Aeroponics System, cannabis production capacity and production yields, the Rights Offering, the Name Change and the Company's growth plans. When used in this document, the words “will,” “anticipate,” “believe,” “estimate,” “expect,” “intent,” “may,” “project,” “should,” and similar expressions are intended to be among the statements that identify forward-looking statements. The forward-looking statements are founded on the basis of expectations and assumptions made by the Company which include, but are not limited to, the timing of the receipt of the required regulatory, TSXV, shareholder and third party approvals, as well as the satisfaction of other conditions pertaining to the completion of the Transaction, the Amalgamation Agreement, the development of the Stavely Facility, the Name Change and the Rights Offering. Forward-looking statements are subject to a wide range of risks and uncertainties, and although the Company believes that the expectations represented by such forward-looking statements are reasonable, there can be no assurance that such expectations will be realized. Any number of important factors could cause actual results to differ materially from those in the forward-looking statements including, but not limited to: regulatory, TSXV, shareholder and third party approvals not being obtained in the manner or timing anticipated; the ability to implement corporate strategies; the state of domestic capital markets; the ability to obtain financing; changes in general market conditions; industry conditions and events; the size of the medical marijuana market and the recreational marijuana market; government regulations, including future legislative and regulatory developments involving medical and recreational marijuana; competition from other industry participants; and other factors more fully described from time to time in the reports and filings made by the Company with securities regulatory authorities. This press release does not constitute an offer to sell or a solicitation of an offer to buy any of the securities described herein. The securities have not been and will not be registered under the United States Securities Act of 1933, as amended (the “U.S. Securities Act“), or any state securities laws and may not be offered or sold within the United States or to United States Persons unless registered under the U.S. Securities Act and applicable state securities laws or an exemption from such registration is available.